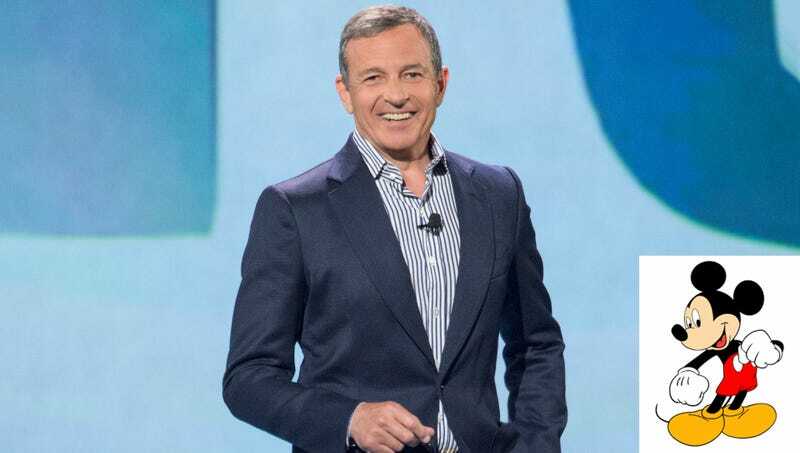 BURBANK, CA—Revealing that it was the provision that essentially sealed the multi-billion dollar deal, sources reported Thursday that Disney Company CEO Bob Iger offered Rupert Murdoch one night with Mickey Mouse in exchange for 21st Century Fox. “To help sweeten our $52.4 billion proposal, we offered Mr. Murdoch access to Mickey for a single-night encounter, which he eagerly accepted,” said Iger, explaining that after signing the deal, Murdoch was given the keys to a penthouse suite at the Hotel Bel Air, where he would find two complimentary bottles of Krug Champagne and a fully disrobed Mickey Mouse waiting for him. “Mr. Murdoch was very amenable to our overtures. He even offered to cut the sale price in half for an entire week of companionship, but we are steadfast in protecting the exclusivity of Mickey’s attention.” Iger went on to say that it was far easier to negotiate this deal than the one struck for Lucasfilm, for which George Lucas demanded an evening with all seven dwarfs.